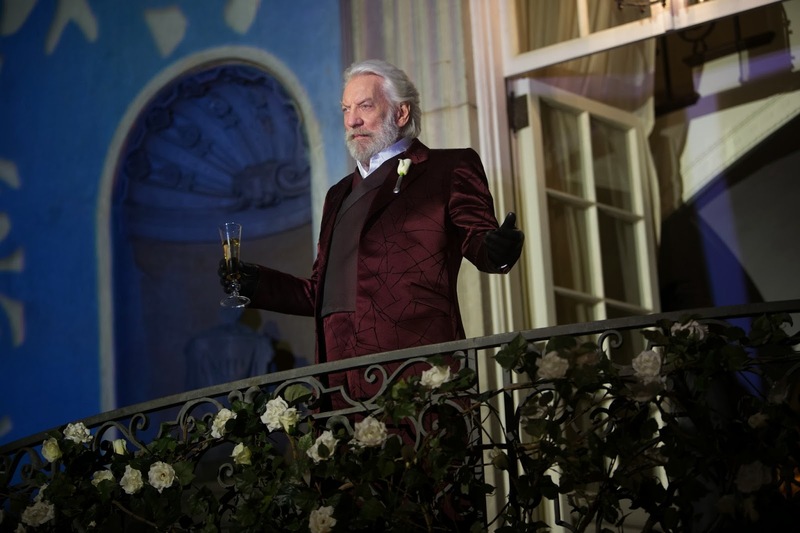 It’s a question that’s stumped readers of Suzanne Collins’ third and final Hunger Games book, Mockingjay: Why did Katniss kill Coin and not shoot President Snow? In my last article on Hypable, I talked about why Prim NEEDED to die to complete some of the overall themes of the story. I mentioned that a lot of people who don’t like Mockingjay don’t understand that point. Yet another problem people have with the Mockingjay is that there is all this build up toward killing Snow and having Katniss do it, and we never get that payoff. Katniss kills Coin instead. It’s obvious why she needed to kill Coin on a plot level, but it was important it happened on a thematic level, too. The Hunger Games has never been a good guy vs. bad guy story — just look at the first installment. Katniss isn’t pitted against other villains. She’s pitted against other youth who are also victims of their society. Katniss’ real enemy is the wicked appetites of human nature. The Hunger Games has always been a story about the good of human nature and even more so, the wickedness of it. It’s about the human condition. And just as Katniss becomes the face of the rebellion, Snow becomes the face of the wickedness in Panem. Snow embodies everything in the books that’s evil, especially as the series continues. I find it interesting how much he gets made into the villain, when in reality, he’s just one person, a face. After all, he wasn’t the one who started The Hunger Games. He wasn’t the one who established the Panem government. He’s evil, yes, but more than that, he represents evil. As the series goes on, we become focused on Snow. But remember who the real enemy is. It’s not Snow himself; it’s the evil, bloodthirsty side of the human condition. By Katniss killing Coin instead of shooting Snow, it shows again that Katiniss’ enemy isn’t with a person, it’s with the natural man. That’s why it was so important to show that Coin was as bad as Snow — because the enemy isn’t a person, it’s a nature. Of course, Snow isn’t the only one who believes in having The Hunger Games. If he was really the only person, then Panem wouldn’t be set up the way it is. The Hunger Games wouldn’t have been able to exist because there wouldn’t have been an audience, a whole organization, for it. The truth is, all humans have a dark appetite of the flesh (but it’s our choices that develop or hinder that appetite). As it was from book one, Katniss’ battle is against that part of the human condition, which Coin isn’t immune to. By Katniss killing Coin, she’s symbolically killing that human condition, perhaps much more so than if she had just killed Snow. But the problem is, like Katniss and many others, we had become focused on Snow. Many of the characters seemed to think he was the be-all end-all of wickedness, but Collins shows that it’s bigger than him. It’s human nature. While Katniss killing the human condition comes with a high cost (her sister), we still see that although Prim, who represented everything that was good in the human condition, died, goodness and innocence and purity is able to be reborn (figuratively and literally). I especially like in the movie version (it’s slightly different in the book version), how one of the first scenes is of Katniss discussing she’ll never have kids, implying it’s because of the evil society she lives in, and the last scene shows her with children, who are innocent, pure, and everything good. It testifies of a better world, one where she doesn’t have to worry about them starving or dying. One where the good nature of humankind is stronger.